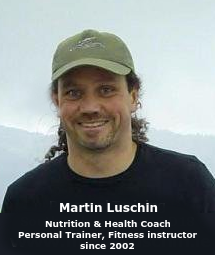 Nutrition Survey re * Online Courses & Classes * in the last few days. Here are some of the repeatedly mentioned questions and comments .You might spot your own questions or comments below ( no names are mentioned here). I hope to address some or all of them in the coming months in my general fitness, exercise and health videos, blog-posts or answer them as part of various online courses that I’m planning do create. (2) Personal Training Sessions (in the Dublin 14, Dublin 16, Dubln 18 area or withing 10-15min commuting distance to Leopardstown or Sandyford). I would like to know more about core strength. I sometimes get stretches confused with strengthening exercises. For example all the time when I was doing what I thought were strength exercises for quads, it was actually stretches! I’m 69 and have good health, what do I need to do stay that way as I enter my 70s. I get confused about what foods are good to eat before or after exercising i.e. Proteins, carbs, good fats like avocado. Specific information on these would be helpful. (similar to no. 4) During exercise and Pilates what food and drinks are best to aid in muscle recovery the quickest? Time is a big factor, possibly ideas on incorporating exercise into normal daily activities. I’d like to know more about how diet that helps reduce inflammations. (This is another one I will comment on in the future). I would like to know what type of food you should eat when excising. For your strength and the portions you should eat. What effect do different exercises have on the various areas of my body. I would like to learn more about core strength exercises and would love to have something to take away and work on in my own time outside of the classes. (that is something I want to cover the online videos in the future). This entry was posted in Be in to win - questionnaire, Be in to win - survey, Fitness Exercise Videos, Vouchers and tagged Exercise Video Survey, Exercise Videos, Fitness Video Survey, in Dundrum, in Leopardstown, in Sandford, in Sandyford Community Centre, in South Dublin, Winners Announcment on April 28, 2017 by admini.